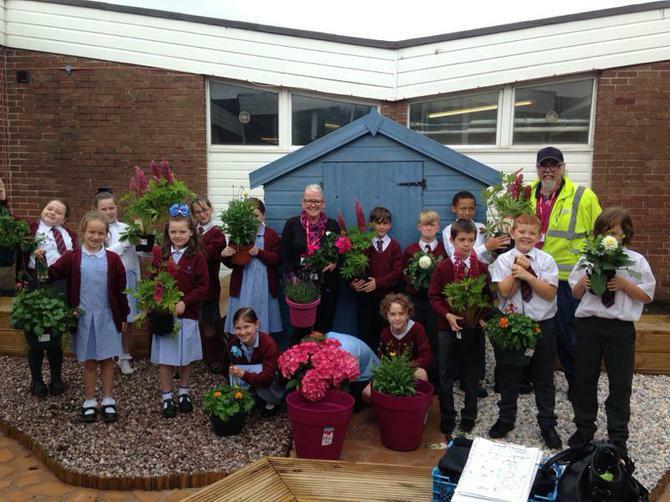 Many thanks to Angela and Frank from Dobbies who came into school this week to enhance our Reading Garden further. Dobbies kindly supported this community venture by donating a huge range of flowers, shrubs, fruit and vegetables as well as wonderful pots and decorations. 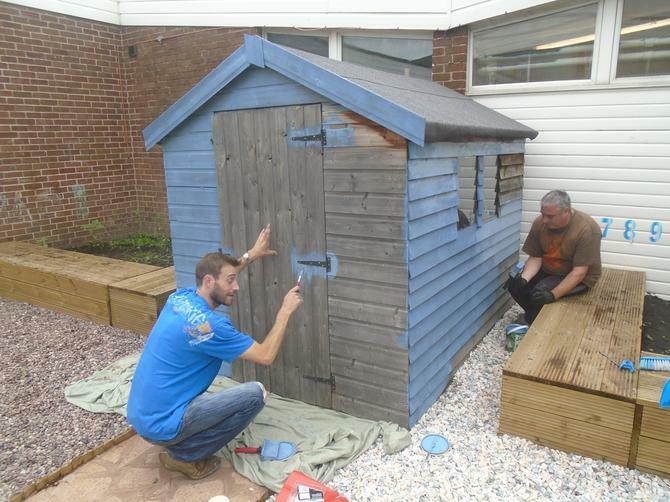 Thanks also to governors, Martin and Gareth, for painting the reading shed (see picture). Children from Y3, Y4 and Y5 helped to plant all the features, spending a relaxing hour on Tuesday bringing colour, textures and fragrances to this oasis of calm and tranquility in the heart of the school.